Copyright Litigation Blog: Copyright Law- Seventh Circuit- Does Sloppiness Invalidate A Copyright Registration? Copyright Law- Seventh Circuit- Does Sloppiness Invalidate A Copyright Registration? Neri v. Monroe, 2013 WL 4046638 (7th Cir. 2013). 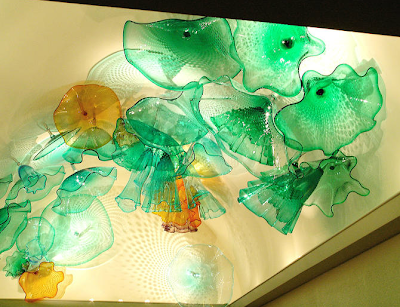 Plaintiff sculptor hired to put large glass sculpture called “Mendota Reflection” inside the vaulted ceiling of the foyer of a condominium (which required defendant architects to remove a dome). Architects used photographs of the installed sculpture to compete for an architectural award. Lighting designer used photographs to promote her work on her website. Magistrate judge dismissed action because the copyright deposit for the unpublished collection consisted of a booklet and loose photographs. The copyright deposit was not in the court record. The Seventh Circuit reversed, finding that the Copyright Office’s determination that the copyrighted works were “readily identifiable” constituted an agency determination that was entitled to deference and that plaintiff had produced prima facie evidence of registration under 17 U.S.C. §410(c) by producing a valid copyright registration certificate. On remand, the circuit court suggested that the homeowner and the architects might be considered joint authors of the photographed materials which included design elements and architecture that was not part of the sculpture. Additionally, the Seventh Circuit suggested that consideration of the fair use doctrine might be appropriate. Read Chief Judge Easterbrook's decision here.